This is one of my favorite snacks and it is soooo FAST and easy to make with the Magic Bullet or blender. 1. Add all ingredients to the Bullet or blender. 2. Add any or all energy-boosters and blend until smooth. 3. 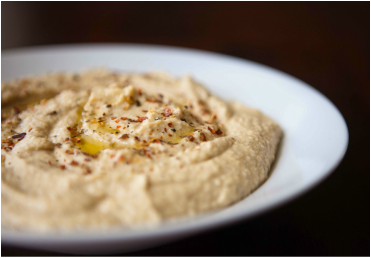 Scoop your hummus into a pretty bowl, drizzle olive oil on top and serve with a side of veggies and gluten-free crackers. ​Another fun way to present it is to make little cucumber sandwiches or lettuce roll ups. You can pack these to go in lunches. I also like to use fun, colorful toothpicks or paper umbrellas to jazz it up for snacks with friends.